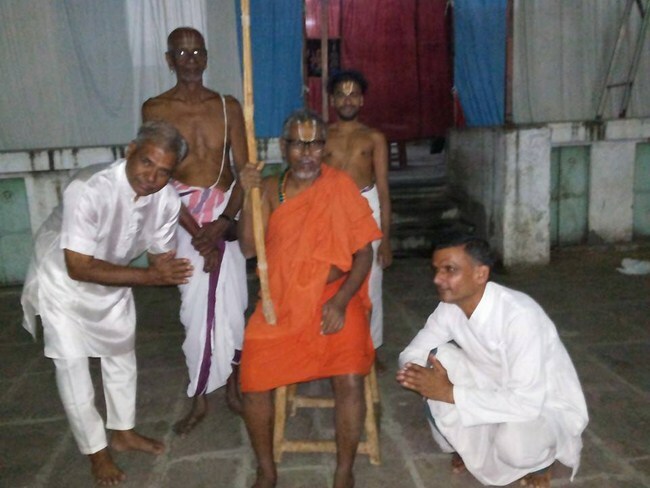 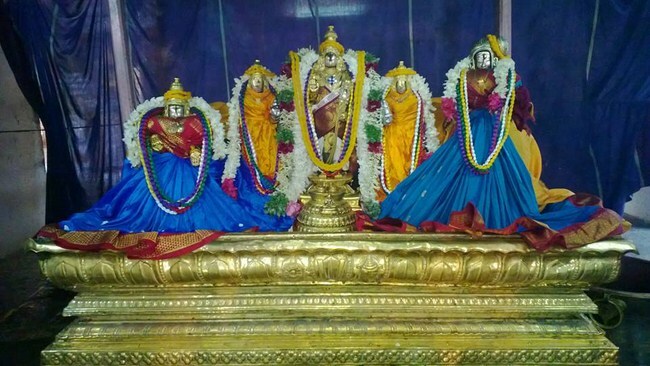 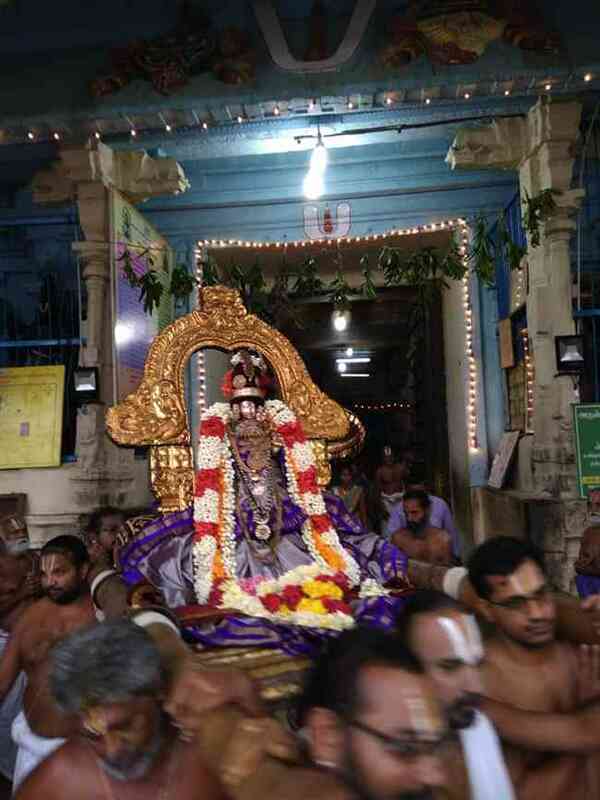 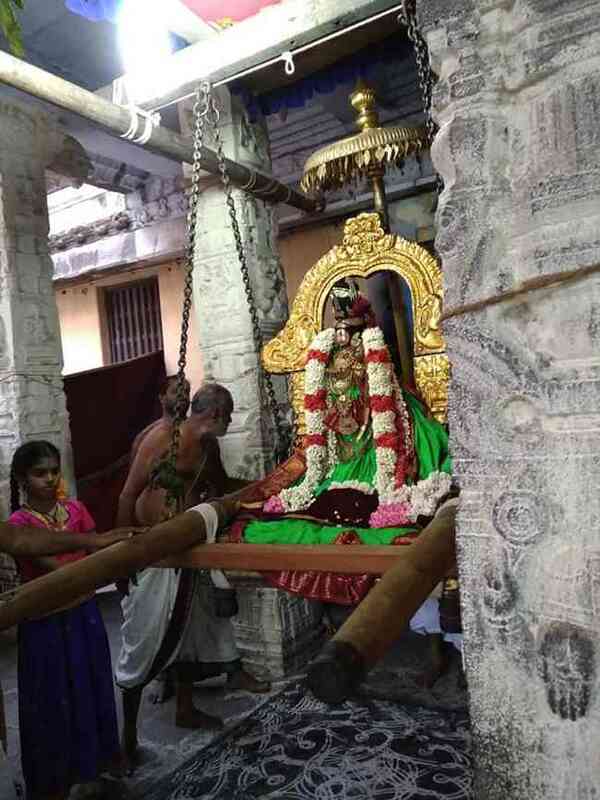 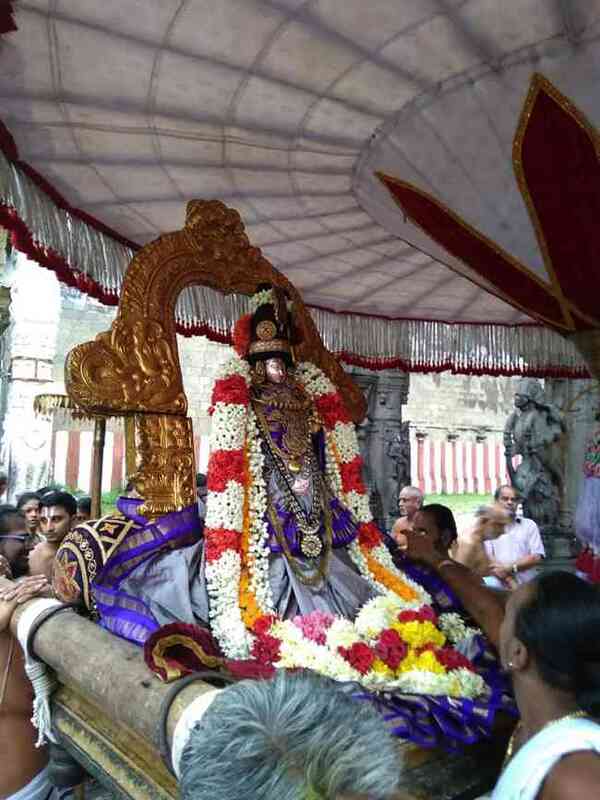 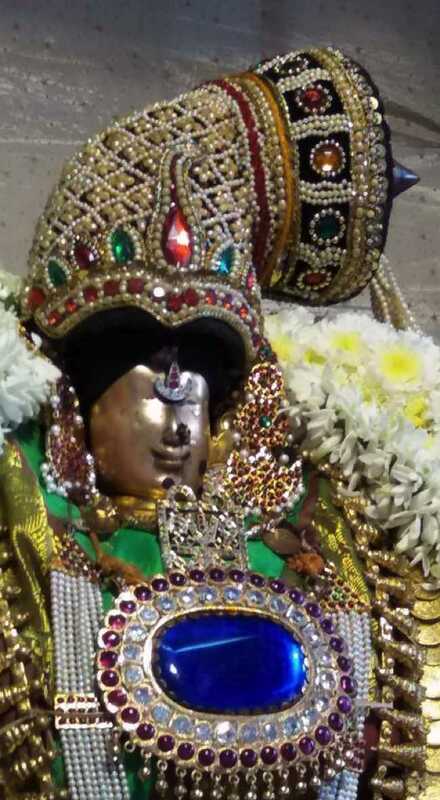 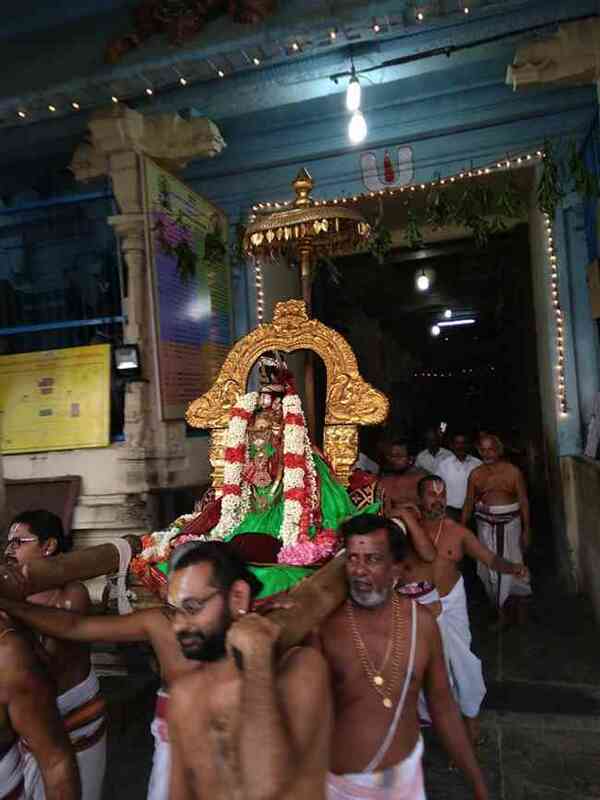 On 7th August 2018 (Srivilambi Aadi Rohini), the 4th day of the Thiruvaadipoora Utsavam was celebrated at Kanchi Sri Varadaraja Perumal Temple. 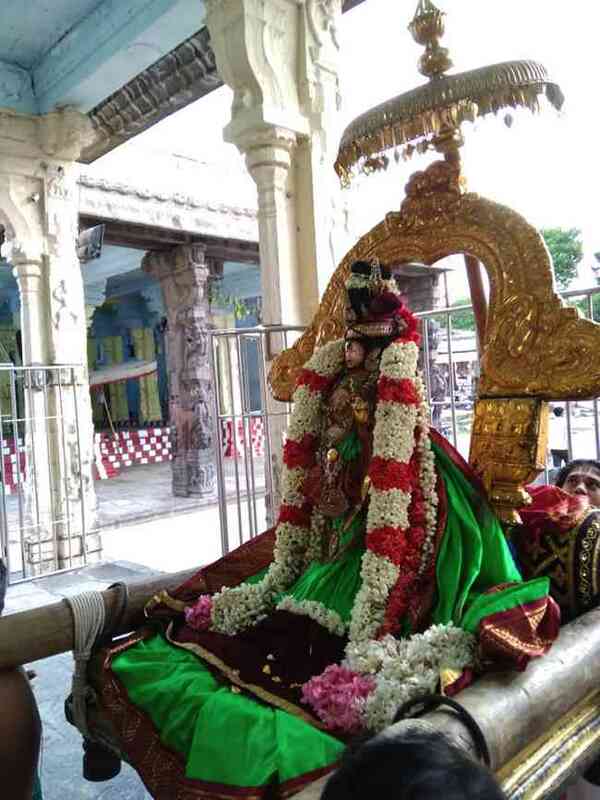 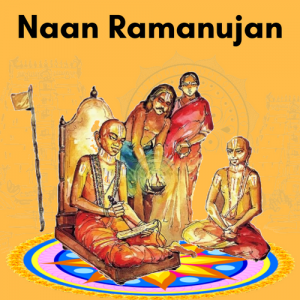 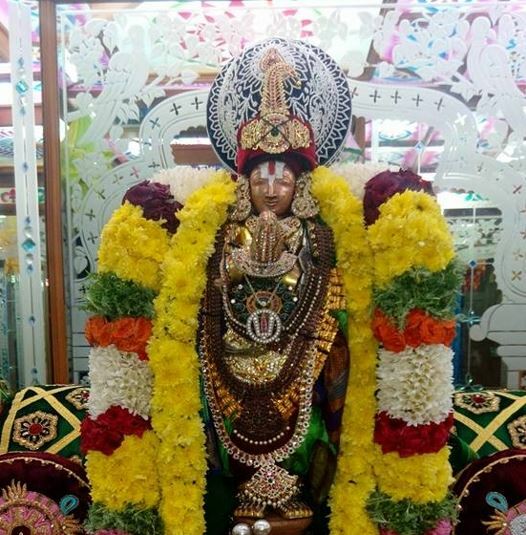 In the evening, with Saaya Kondai, green silk vasthram, Kalikki Thuzhai, Muthu Maalai (pearl garland), Kaasu Malai (garland with golden coins), Thattai Padhakkam (Flat Pendant) & thangakudai (golden umbrella), Sri Aandal had purappadu on Tholukkiniyan followed by Sevakalam and Satrumurai. 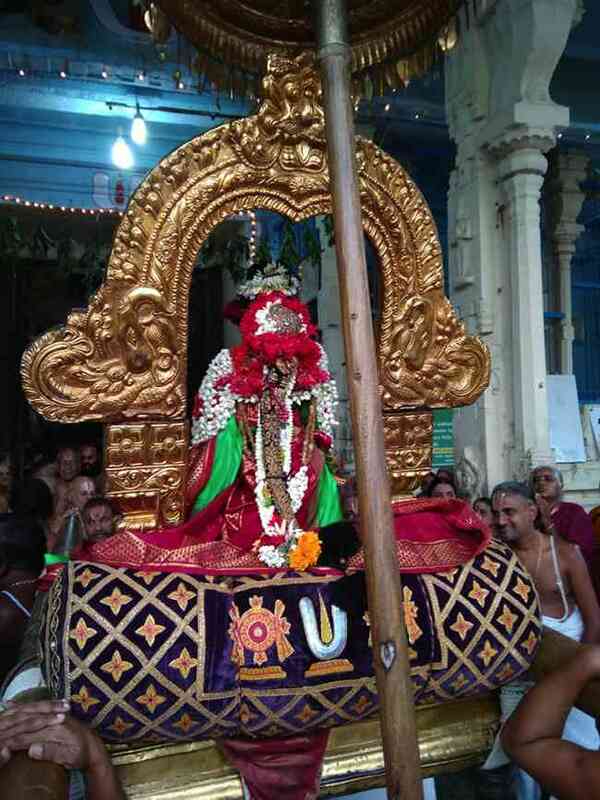 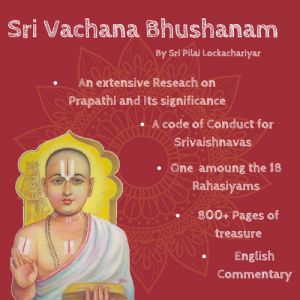 On the previous day, the third day was celebrated auspiciously with grand purappadu and oonjal sevai. 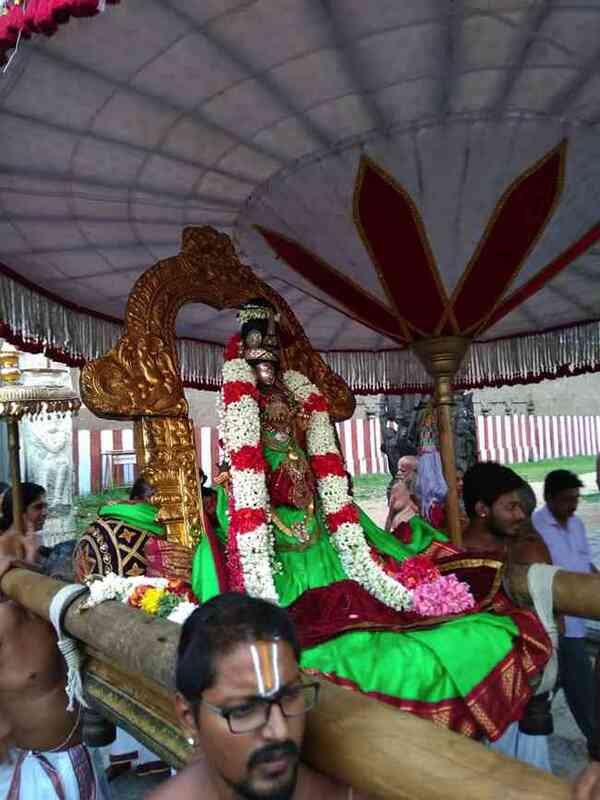 She gave scintillating darshan to Her devotees on both days. 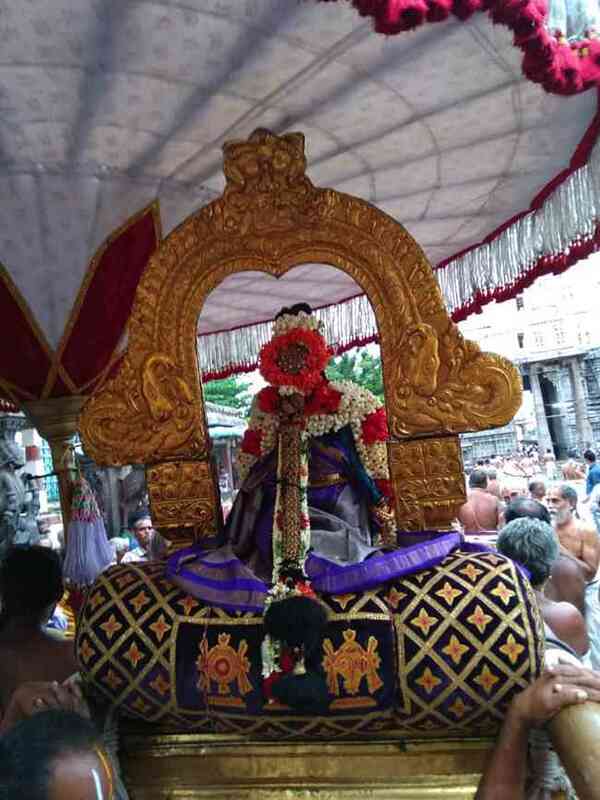 Several astikas took part in ThiruAadipooram Utsavam and had blessings of Aandal.